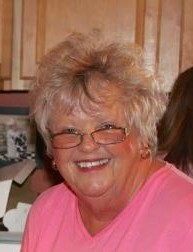 Darlene H. Lovelace, 64, died Tuesday, April 2, 2019. She is a daughter of Jerry March Hatcher and the late Mary Lee Hatcher. She was the widow of Randall Edward Lovelace. She was a board member for Hospice of Chesterfield County and a member of First Baptist Church, Cheraw. She loved to bake, paint, and spend time with her family. Surviving are a son, Randall Edward (Christy) Lovelace II, daughters, Pam Bohannon of Myrtle Beach, SC, Donna Harelson of Conway, SC, father, Jerry March Hatcher of Cheraw, SC, son-in-law, Calvin Golden of Myrtle Beach, SC, sisters, Cathey McLain, of Wallace, SC, Vivian Gathings, and special friends, David Reep and Patti Reeves. Survivors also include grandchildren Randall Edward Lovelace III, Jon Bohannon, D.J. Bohannon, Adam Golden and Kate Golden, nieces Amy (Joe) Rainwater, Michelle (Allen) Fuller, great nephew Justin Tyler (Jessica) Graves, niece Kylie Marie Rainwater and a great niece, Jayda Graves. She was preceded in death by her mother and husband listed above, grandparents, daughter, Angie Golden, brothers, Mickey Brigman and Larry (Buck) Brigman, and sister, Fran Mabe. The family will receive friends 6:00 PM to 8:00 PM, Thursday, April 4, 2019 at Kiser Funeral Home, Cheraw, SC. A funeral service will be held 2:00 PM, Friday, April 5, 2019 at First Baptist Church, Family Life Center, Cheraw, SC.